All Lindblad Expeditions tours, river cruises, expedition cruises, and adventure trips. Find the best guided trips and expert planned vacation and holiday packages. 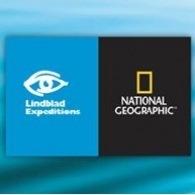 Average rating of 5.0 for all Lindblad Expeditions trips. Travel in extraordinary comfort and see many of the countries’ cultural highpoints. Explore idyllic islands; snorkel over a vibrant coral reef and take an expedition landing craft cruise through mangroves.